"This past year of my VT Residency at Appelbaum Eye Care Associates has completely transformed me as an optometrist as well as expanded my ideas about what my responsibilities are as a vision care professional. I have learned so much about interpreting clinical data and taking that information and translating it into personalized therapy for each patient. But most importantly for me as a clinician, I have learned how to educate my patients about their visual status and abilities while using language and analogies that patients can understand. Once the patient understands their vision and how it impacts their symptoms and behavior, they are more likely to find success in their therapy. The access to Dr. Appelbaum’s library of books and emails of articles and videos was invaluable to supplement all of the wonderful clinical experience that I gained. I also found that I learned the most about how to educate patients while observing Dr Appelbaum do initial evaluations and progress evaluations. I feel much more confident in my ability to manage not only binocular vision problems but also patient expectations of what therapy entails. It was such an amazing benefit to complete a private practice VT Residency because you are allowed the freedom to tailor the residency towards what you want to gain from your experience. Clinically, I am now confident in fitting orthokeratology contact lenses and I have become more accurate in my objective testing (i.e. cover test and retinoscopy). But I have also learned about practice management, managing staff, gained experience in running a very busy therapy room, and establishing fees that reflect the professional services I can provide. Appelbaum Eye Care Associates is a practice that has such a diverse patient population. I am more comfortable treating children as well as adults. We are referred so many patients with strabismus, concussion, ADHD, autism, amblyopia, reading & learning problems and rare systemic disorders with severe visual symptoms. Our patient population contains the "tough cases" from John's Hopkins, Walter Reed, many hospitals, medical centers and NIH. I have learned how to treat visual symptoms of rare diseases like Ehlers Danlos Syndrome (EDS) and Postural Orthostatic Tachycardia Syndrome (POTS) and how to comanage these complicated patients with OTs and PTs. Outside of the clinic I also gained very valuable experience in speaking to other professionals about vision dysfunction and vision therapy. I have become a much better public speaker through doing speaking engagements to OTs, PTs, speech pathologists and other optometrists. Overall, I am so grateful for my experience as a resident. I have gained a skill set that sets me apart from my colleagues and I was able to work with some of the best patients ever! Through all of the hard work, the patients make all of the hard days worth it. It's so much fun "learning" from and about your patients and getting creative in the therapy room once you have an understanding of the visual system. We only learn the foundation of vision in school, but after this amazing residency I feel confident in my ability to treat so many different visual problems. I like to joke and say that I am the vision therapy MacGyver, I can make any household item into a therapy activity!" "One of the most important and exciting skills and I acquired, during my Private Practice Vision Therapy Residency at Appelbaum Eye Care Associates, PC was learning the language of vision. Vision is so much more than the ability to see the little letters on the eye chart. Vision allows your eyes to work together, move together, focus together and generally coordinate. And that's all before the brain can even process the incoming information. There were unending opportunities for me to immerse myself in this new language. The office shelves were stacked in books to be flipped through during a down moment. I was always welcomed to observe and participate with any of the other Optometrists or Occupational Therapists In the office and their patient interactions. Additionally we frequented continuing education opportunities, local networking meetings and study groups. Dr Appelbaum was very helpful in personally guiding my understanding of the many important new behavioral Optometric concepts learned and understanding patient goals and treatment programs. By using the common language of vision, patients feel comfortable with the team approach - never questioning which doctor they were working with as soon as they heard consistency in our treatment and overall message. When they realized what we were saying matched our core message - to change the way they see the world - they knew that they could trust us. This new language has allowed me to strengthen my communication skills, problem-solving with patients and smoothing out misunderstandings before they become issues. It's allowed me to be able to screen primary care patients and have a productive discussion regarding treatment options such as vision therapy and orthokeratology. I've cultivated the ability to put patients at ease. Not all of our patients have a minor TBI or developmental delay. Some of our patients are very ill, suffering from a massive stroke or dealing with a pervasive genetic disorder. Several of our patients travel from other countries to see Dr. Appelbaum, as well as specialty medical practices in the United States that refer to us, when their health is failing. A patient once told me “Health is a crown that the healthy wear and only the sick can see.” This deeply impacted the way that I interact with my patients. Creating a therapeutic environment with not only vision therapy but also emotional support, can be imperative in healing and getting our patients to their highest levels of function. I have aspired to meet my patients wherever they are at, both functionally and emotionally. When there is a bond created and trust established, patients open themselves up to change. When they can devote their attention to therapy a critical modulator is activated and a therapeutic threshold is reached maximizing the neuroplasticity of therapy. This is among the many things I learned during this wonderful year at Appelbaum Vision. This the new language I learned during this Vision Therapy Residency, has allowed me to work in a multidisciplinary office co-managing with a team of occupational therapists, optometrists and assistants. This collaborative team work has allowed so many of my patients to unlock the previously unknown potential and get them not only feeling better, but also optimizing their skill sets. This interdisciplinary communication that I witnessed at Appelbaum Vision, also was a large benefit when I came to applying for jobs at the end of this residency. In fact I credit this valuable co-management experience, learned during this residency, with helping to secure my next position in a large multidisciplinary office. From the very beginning of the residency, interdisciplinary communication was cultivated through the opportunities to speak at the several local rehabilitation hospitals. There were also many opportunities in which I attended lecture and had the opportunity to network with other professionals such as physical therapists, neurosurgeons, occupational therapists, Optometrists, ophthalmologists and speech/language pathologists. An added benefit to having a private practice residency was the opportunity to be involved in running a business. Having a knowledge of monthly optical sales and contact lens sales, as well as the opportunity to bring in new products and learn how to manage ortho-k, highlighted the importance of a diversified revenue stream. Keeping a business alive and functioning is necessary so that we may devote our attention and effort to the patients. Another benefit of the private practice what is the ability to train new assistants and therapists. This training allowed me to continually hone my ability to learn and teach. It was a wonderful exercise to articulate the interconnected nature of accommodation and convergence, the mechanisms of prism and lenses, as well as the theory behind therapeutic activities. One of my favorite projects that I got to work on this year was my research paper. I picked a broad topic which allowed me to really dive into the current research and immerse myself in the mechanisms to support therapeutic neuroplasticity and visual/vestibular assessment and treatment. By thoroughly investigating why we do what we do in the therapy room, I was able to have wonderful thought-provoking discussion with my patients. They truly appreciated why they were doing their exercises. When there is the cognitive connection between the how and the why, there is a stronger brain-body connection through which to modulate their behavior. When they are able to actively reach a therapeutic threshold, the benefits to the patient dramatically increased, as they more easily maximized the work they did in the therapy room. I am so glad I was chosen among the many applicants for this Vision Therapy Private Practice Residency. It was such a wonderful year!" "I applied for a Residency to obtain the skills and confidence to offer Vision Therapy to my patients If I could go back and have the choice again with the knowledge of this amazing experience at Appelbaum Eye Care Associates, PC, there is no way I would have chosen another residency. I am so grateful for my time with these doctors, assistants, patients, and parents of patients. I wanted to do a residency that allowed me to see my own patients and get experience with how to run a very successful Vision Therapy Clinic. I wanted to be the primary provider for patient care and not only precept students. I wanted an experience that would be similar to that of how I would be practicing in the future. The residency program at Appelbaum Eye Care Associates, PC allowed me to obtain all of this and much more. Appelbaum Eye Care Associates, PC is one of the few private practice residencies in which you not only learn a lot about Vision Therapy, but how to tell if vision therapy would be beneficial for a patient, and how to administer a vision therapy program. There are not many providers for vision therapy, and even less that do it in a busy full time private practice. One of the things I liked most about this residency is that I got to participate in patient care from beginning to end, from the first evaluation to the successful graduation of the therapy program. I was able to run and program therapy for most of the patients. I gained the confidence I thought I needed to be able to explain binocular vision disorders to patients and/or parents and to explain the benefits of a vision therapy program in way that would be best for them. I worked with some really wonderful doctors at Appelbaum Eye Care Associates, PC that helped me to obtain the skills and confidence to offer vision therapy to my patients. I learned how to look at the patient as a whole and not by an individual diagnosis. I learned how to be more observant throughout the entire process, not just looking for signs of an eye turn or diagnosis, but looking for signs in the therapy room that showed we were approaching a person's threshold, and that they were learning from each experience. I learned how to change many activities to help a person gain knowledge from the experience and to meet the individual needs of that person. I worked with many patients on the Autism Spectrum, ADHD, learning disorders, strabismus, amblyopia, concussion and TBI/ABI. I feel I now have to confidence to do therapy with all of these patients, which I did not before doing this residency. There is also Occupational Therapy offered in the same office at this practice as well, which helped me gain the knowledge on how to interact with occupational therapists as well as how to determine if a patient sitting in my chair could potentially benefit from OT as well as VT. I feel like this residency has taught me how to interact with other professions in a way that I will be successful in co-managing/co-treating patients with other professionals, such as OT. I also learned how to train Assistants and run the practice as if it was my own. I got to see what it takes to run a successful practice. This will be very beneficial for me when I help open and run a vision therapy practice with another private practice in the coming year. If I could go back and have the choice again with the knowledge of this experience, there is no way I would have chosen another residency. I am so grateful for my time during this Residency, with these doctors, associates, patients, and parents of patients." "The residency program at Appelbaum Eye Care Associates, PC has afforded me the opportunity to grow into a confident and skilled developmental optometrist. This is a profession where there will always be more to learn in the ever changing landscape of patient care and I definitely feel like this year has given me a huge leg up on the future. " "Not only have I worked with intelligent, dedicated and caring doctors who enjoy sharing their passion for optometry, but I've had an incredibly diverse array of patient experiences. In the vision therapy room I've managed every type of visual disorder imaginable from patients with convergence insufficiency to complex visual processing issues following acquired brain injuries. Both the doctors and patients at Appelbaum Eye Care Associates, PC challenged me to stretch my clinical capabilities and find new solutions to problems. Having Occupational Therapy in the same office helped me learn how to coordinate Vision Therapy with Occupational Therapy." "One of the biggest things I have taken away from this experience is an ability to communicate effectively with patients, parents and other professionals. I've learned how to set and manage expectations and provide knowledgeable feedback to patients while always trying to address their concerns. Patient communication is a skill just like anything learned in lab during optometry school and it's a skill that has to be practiced. I appreciated being able to observe great communicators and then apply what I learned, with my own patients." "I had a very high volume of patient encounters in vision therapy and I had ample opportunity to program vision therapy and coordinate care for almost any condition imaginable - convergence insufficiency, ocular motor dysfunction, strabismus, visual perceptual deficits,gross visual developmental delays etc. There was a huge diversity in patient population - children, adults, elderly, acquired brain injury, autism, ADHD, sensory processing disorders and many more. The ability to play a role in teaching and training new vision therapy assistants.has allowed me to gain confidence and competency in managing vision therapy patients, parents and staff." "In addition, this year has had a tremendous impact on my model of vision and method of prescribing. It has allowed me to become a much more wholistic practitioner and consider the functional and behavioral visual needs of the patient, while also addressing their refractive, medical and contact lens needs." "My goal beginning this residency was to eventually open my own private vision therapy practice. I now feel like I have the skills necessary to do that. It was a really great experience to see the inner workings of a very successful and very busy private practice." "This residency has been an absolute dream come true. I truly couldn’t have imagined more intellectual, experienced, kind, and caring doctors than the doctors at Appelbaum Vision. Individually each doctor offers a wealth of experience that is absolutely astounding, and their knowledge is only rivaled by their devotion and ability to share their passion. Aside from the expansive knowledge of the doctors, the patient diversity presenting to the office is mind-boggling. Appelbaum Vision is an incredible opportunity for anyone looking to exponentially expand their knowledge on the diagnosis and treatment of a wide range of visual stressors including diplopia, Amblyopia, TBI, Hypertropia, Exotropia, Esotropia, Convergence Insufficiency, and many combinations of these. At the end of this residency, I am very comfortable treating patients with everything from Esotropia, Autism, ADHD, infants, TBI, Stroke, to post hypoxic brain damage. I was also extensively trained in prevention and treatment of a wide variety of ocular needs including primary care, contact lenses, orthokeratology, and vision therapy. In addition to receiving training, I was able to train pre-optometry, other pre-medical professional students & give presentations to other professionals, in the diverse procedures involved in vision therapy, which allowed a deeper exploration of my own training and knowledge." "Appelbaum Vision also provides daily interactions with other professions including Occupational Therapy. Both Vision Therapy and Occupational Therapy are done at AppelbaumVision. Before my residency I actually thought that occupational therapists only helped people adapt to life changes by teaching them to use a variety of devices, now I realize that there's so much more to OT! They help in sensory integration, self regulation, self care, balance, and help improve just about every aspect of a persons daily activities. I should also mention that the staff at Appelbaum Vision is extremely welcoming and encouraging, their personalities allowed me to be comfortable enough to cultivate my creativity and knowledge base beyond what I thought was possible, (not to mention the work schedule is phenomenal). It was honestly a wonderful experience that I would highly recommend to anyone seeking to expand their training by decades!" "I would especially recommend this residency to anyone looking to open their own private practice. This residency provides real life experience in running a very busy & successful private practice, not just as an OD but also as an owner. I feel truly grateful and honored for being selected for this opportunity. After doing a residency with them, I can truly say that I would never have advanced to the level of understanding that I am currently at, without them. My prescribing philosophy has changed immensely and my patients are so much happier. This residency was everything I hoped it would be and more, I deeply encourage people to take advantage of this incredible opportunity!!!" 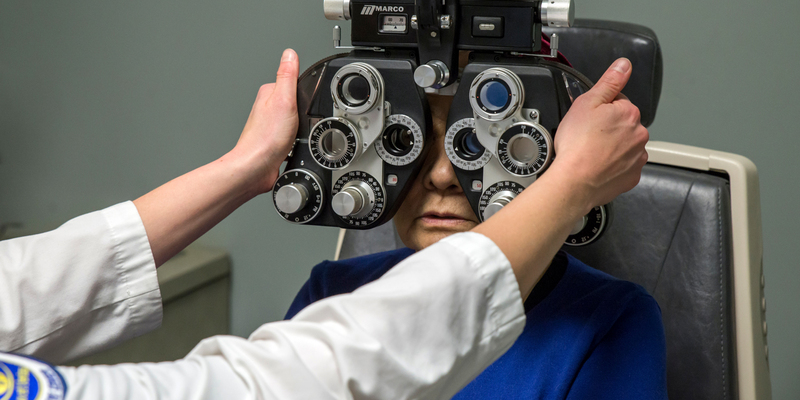 "My Southern College of Optometry Vision Therapy Private Practice Residency at Appelbaum Eye Care Associates has provided me with the opportunity to connect the pieces and has helped me cultivate my own model of vision. During my years as a student at the Pennsylvania College of Optometry (PCO) at Salus University, I was taught the didactic skills necessary to diagnose binocular vision problems. I was fortunate enough to complete a rotation in pediatrics at The Eye Institute and felt as though I had a sound didactic foundation of binocular vision and vision therapy. However, I felt as though something was missing and I could not put the pieces of the puzzle together. Yes, I was able to pick up a binocular vision problem, but felt as though my care ended there. This SCO Vision Therapy Private Practice Residency has provided me with the opportunity to connect the pieces." "I applied for this residency with the end in mind; I wanted to have the competency and skills necessary to offer vision therapy to my patients. I wanted a real-world experience and at Appelbaum Eye Care Associates, I got that and so much more. In addition to performing routine primary care, I was able to perform the vision therapy myself. This was extremely valuable as this first-hand experience of being in the room and running the therapy provided me with a skill-set I don’t think I would have obtained anywhere else. I am now able to coach patients effectively, manage the staff efficiently and have the confidence to start up my own VT practice." "In addition to running the therapy, I was able to participate in the patient’s care from beginning to end and was fully involved in the entire vision therapy process. I am comfortable explaining binocular vision disorders to patients and parents and feel as though I am able to adequately convey how vision therapy can help relieve their symptoms. I was fortunate to be able to work with a very diverse patient population with varying diagnosis including patients on the Autism Spectrum Disorder, strabismic patients, those suffering from brain injuries and non-strabismic visual disorders. My participation in their care taught me how to look at the patient as a person, not as a diagnosis, and gave me unique insight into the life-changing benefits of vision therapy." "Now that I have completed this residency, I look back at the clinician I was when I first started this journey. I have grown tremendously and am truly grateful to have been granted this opportunity; it will make all the difference in my life and in the lives of the patient’s I will interact with over the course of my career." "I was first introduced to vision therapy during my pediatric advanced tract rotation at the Pennsylvania College of Optometry (PCO) at Salus University. I was interested in working with the pediatric population and vision therapy was an avenue that I knew I wanted to incorporate into my future practice. My training at PCO had given me a solid introduction to vision therapy as far as basic concepts and techniques but it was not until I interviewed with Dr. Appelbaum that I realized just how much more there was to know about this often unexplored niche of optometry." "I knew by the end of my interview that Dr. Appelbaum's practice was the one for me and looking back at my time spent in his practice, I could not have asked for a better experience. This practice has a high volume of vision therapy patients. I have had the opportunity to work with a wide range of patients, from children as young as 2 years old, to those that are 92. I have had the chance to work with patients with many different diagnosis including strabismic patients, those with non-strabismic vision disorders, patients with autism spectrum disorders and patients with Aquired Brain Injuries. As a resident, one is able to actively take part in the direct care of patients and unlike in short term internship, have the opportunity to see the full course of treatment and follow up care. This allows one to have a more realistic approach and understanding to diagnosis, management, and prognosis. In this practice you will get to see some very unique cases, Dr. Appelbaum is known to take on the complicated cases that other practicing optometrists are simply too uncomfortable to deal with." "This is a vision therapy residency but you get a well-rounded clinical experience. I feel very confident in primary care and contact lenses as well as vision therapy. I am particularly happy that I chose a private practice residency. I initially did a residency with a goal of being able to eventually be able to start up my own vision therapy practice. If this is your goal I would strongly recommend doing a private practice residency. I was able to learn the clinical aspects of vision therapy as well as what it takes to make a vision therapy practice successful, exploring the business aspects of optometry. One of the most useful things that I have learned is how to effectively communicate with patients and parents. I now feel very comfortable explaining findings and concepts without overwhelming the patients and their loved ones with medical jargon." "Through this residency I have changed the way that I view cases. In school we learn a very classical model of binocular vision and vision therapy where labels are so important to treatment and patients are grouped into categories according to diagnosis. I now find myself looking at each case in a more holistic approach. Patients do not come in to you because they have convergence insufficiency. They come in to you because they have eye strain or trouble reading. They are not coming to see you to expand their vergence ranges. They are coming to you for relief of symptoms. I now consider myself a behavioral optometrist." "As I end my residency I feel that my goals have been met and exceeded. This practice has provided me with a supportive learning environment. The doctors here are true role models and they have always made themselves available to answer any questions that I had. Leaving this residency, I am excited to use this knowledge in my future endeavors and I feel very fortunate to have been chosen as one of the few private practice vision therapy residents." "What I feel most privileged to have experienced during this SCO Vision Therapy Private Practice Residency was the continued/constant patient care that I was able to provide day in and day out. The sheer number of VT patient encounters was an invaluable experience. Coming out of optometry school, I felt unique in the sense that I had a very good didactic foundation of vision therapy from great faculty, as well as additional experience at a vision therapy private practice. The only thing missing was the opportunity to follow the patient through the entire therapy process lasting months or even years. Through the residency I came to appreciate each session, and each patient within that session, as I worked with them multiple times in a week. I was finally able to see the 'big picture' of VT and how it changed lives; I saw the progression of those lives changing. I knew the life-changing benefits that VT could provide, but until the residency, I never saw them full scope. Previously it was cases through reading showing merely numbers, ranges, and tracings on a page, and not a completely different person post-therapy now talking and interacting with you seamlessly. I got to witness the important stuff --the success stories were always the highlights." "I also learned how a successful VT practice is run --all of its ins and outs. This was an opportunity I knew would be unique to a private practice VT residency. With a goal to start my own VT practice, the only fitting training would be exactly what I would strive for in my future. Through this residency, I studied everything necessary to provide an office where lives can be changed through VT. I certainly do feel like "one of the chosen few." I now have much more confidence in looking at someone through the eyes of a developmental optometrist and telling them with absolute passion that you can benefit in so many ways from VT. How to conduct therapy sessions, and most importantly, how to interact with the patient and parents is something I feel quite versed in now. Until reading numerous success stories, looking at VO Star tracings progressively improve, seeing Visagraph numbers sky rocket, I don't think I would have been able to fully appreciate all that goes into VT. I certainly would have discovered that in my future, but to be privileged and get this experience at such an early time was truly an honor." "I now feel with confidence that I can start up my VT practice and immediately impact lives for the better. My residency in Vision Therapy and Vision Rehabilitation was a life-changing experience for myself and hopefully for all those I was able to interact with."